Trendy Ankle Booties Just $29.99! Down From $80! You are here: Home / Instagram / Trendy Ankle Booties Just $29.99! Down From $80! For limited time only! Hurry over to Jane where you can score this Trendy Ankle Booties for just $29.99 down from $79.99! Shipping is $6.99 for the first item and $5.99 for each additional item! Boost your cute trendy style in this booties! Show off the chicest style this year in zippered ankle boots! 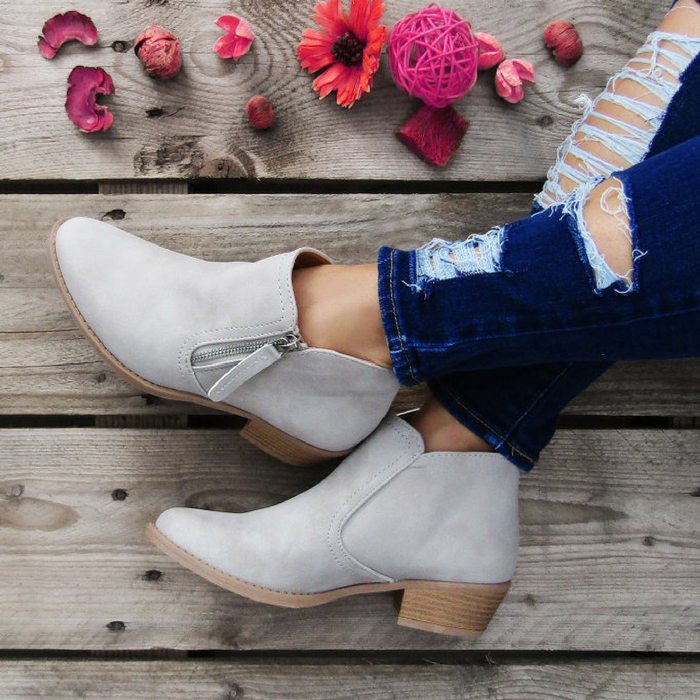 These booties are perfect paired with a pair of jeans, leggings, or a dress! It makes a great gift too! I love it!